The Jansen’s Foundation hosted its first ever Skeletal Dysplasia Conference at Children’s Hospital, Omaha Nebraska. The day conference brought together experts in the field of medicine and research . Internationally acclaimed experts in the field of Endocrinology, Genetics and Orthopedics will engaged in discussion of diagnosis and pathogenesis of rare skeletal diseases. Limb alignment and Bone histology and histomorphometry were also points of interest during the conference. Dr. Harald Jueppner from MGH discussed the history behind isolating the PTH receptor. The Endocrine team that isolated the PTH receptor. Dr. Jueppner and his MGH team were the first to isolate the genetic mutation for Jansen’s Disease. 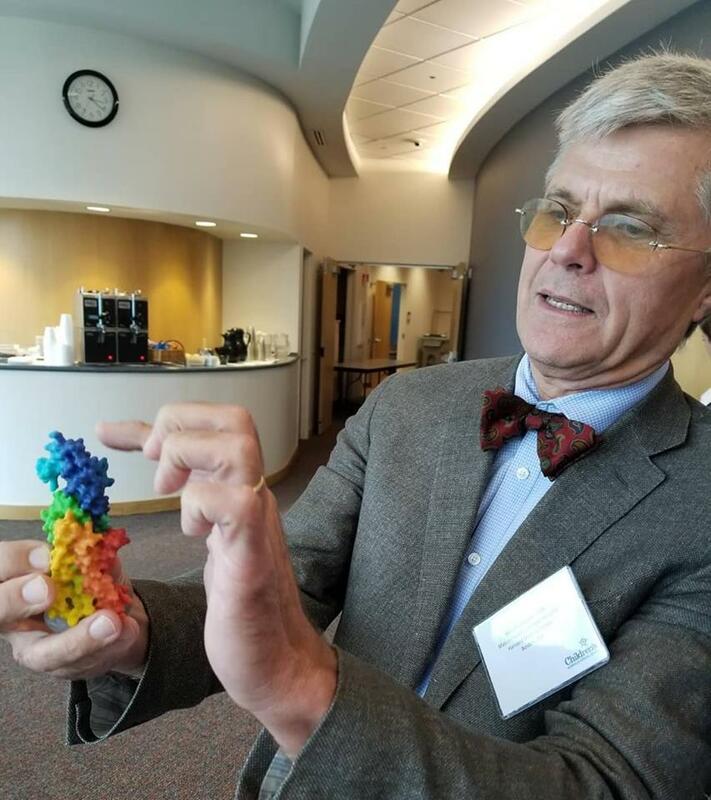 Dr. Harald Jueppner from Harvard holds up a 3D printed model of a PTH receptor that shows the exact point of the Jansen's mutation. The path to clinical trial for the first therapeutic treatment for Jansen’s Disease was also highlighted during the day-long conference. Jansen's Disease road map to a treatment.